City-zen’s Craig Lee Martin (Technical University of Delft) was one of the expert speakers on a webinar hosted by the SCIS (EU Smart Cities Information) platform on May 17th. 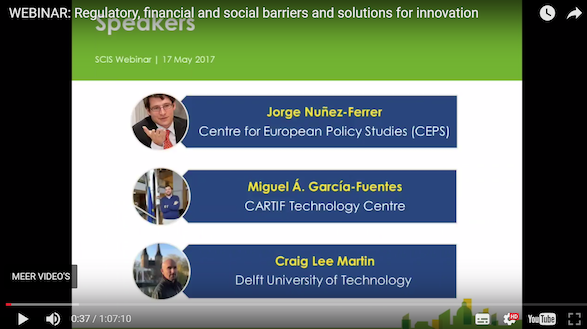 The webinar showcased examples of main financial and economic barriers encountered by smart cities projects; regulatory and administrative barriers, and measures needed to promote social acceptance and uptake of technologies and solutions. Craig contributed by sharing his own experiences with non-technical challenges they have encountered and provided recommendations to smart city stakeholders. Listen to the (recorded) webinar HERE. SCIS has also provided a transcript of the Q&A.